There’s an advantage to being well connected in an industry: You may be among the first to spot a change in trend. And that appears to be exactly what’s happening in the gold industry. Retail demand for physical gold products has been strong over the past few years, and lukewarm from the institutional crowd. But now traders and dealers are witnessing a shift. Retail demand has gone soft—but interest from institutions and high net worth investors is spiking. US Mint sales of gold coins—a reliable barometer of retail demand—were strong in January, but otherwise are roughly half of normal levels this year, while holdings in the largest gold ETF just hit their highest level of the year. Hedge funds and other large speculators increased their bullish bets on gold by 37% the last two weeks of May, the most since 2007. For retail gold buyers, price tends to be the determining factor. But why the sudden shift into gold from the institutional crowd? They’re nervous that underlying trends could reverse, and they want a hedge in place. It’s not just the stock market at all-time highs that has led to renewed interest in gold. This group is nervous about a reversal in the stock market, but also the bond market, the real estate market, the dollar and inflation. Most everything is stretched. No wonder the institutional crowd sees the need for a hedge. With so many assets at historic extremes, there aren’t many places to hide. 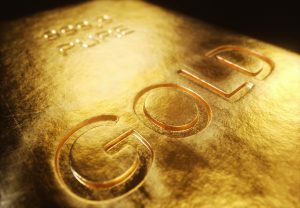 Institutional investors see gold as one of those places for two reasons: the price is off its 2011 high by 32%, so it represents good value relative to these other major asset classes; and gold is a direct hedge against a reversal in virtually all of these assets. If any or all of their trends reverse, gold is likely to rise and help offset the decline. There’s a final consideration: the institutional and high net worth crowd represent market-moving wealth. If their interest in gold picks up, the spike in demand could ignite the gold price and see it take off.